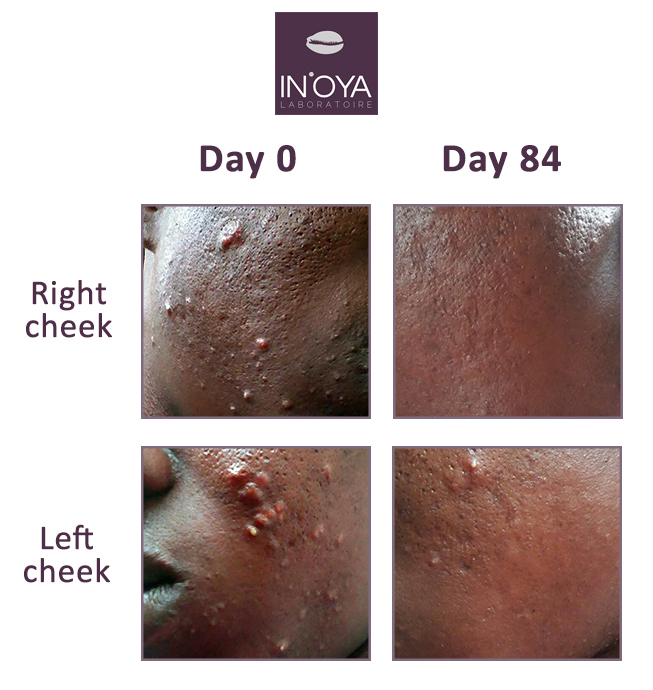 I contacted the IN'OYA team in October 2015 because I was really tired of all the acne spots I had on my face. 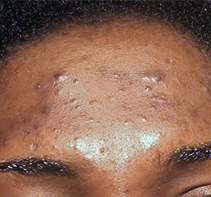 I had tried a lot of different products, I had seen a dermatologist and started treatments but nothing had worked and I was really discouraged. This is why I was really happy to get an answer from the team, who gave me a lot of advice and sent me a personnalised care protocol and products for my treatment. 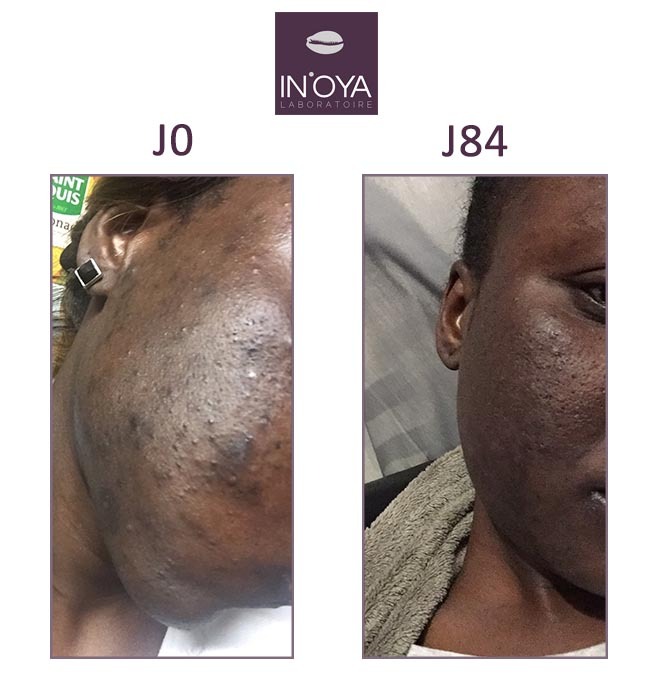 On the advice of the IN'OYA team, I used My Skin Care anti-imperfections to treat my acne, My Corrector Unifying Matifying for my oily skin and My Gel Cleanser Exfoliating to optimize the renewal of my skin. I was really counting on these products because I was really suffering. Progressively, I saw a real improvement: my skin was less oily and smoother, the big spots had disappeared even if there was still some left I knew I would also get rid of them eventually. Today I am truly relieved to see the results and to have finally found a solution for my skin problems! This is why I thank the IN'OYA team with all my heart, I was glad to be well advised and that I could trust them for this treatment! Voici une semaine que j ai recu mon serum anti taches mel'oya..je l utilise chaque soir.Je fonde beaucoup d'espoir sur ce produit pour estomper de vilaines taches sur lesjambes secondaire a des poils incarnés.Y a longtemps que j essai bon nombre de serum et cremes sans resultats.Je reviendrais d ici peu avc photos si besoin pour donner je l.espere un temoignagne positif...Merci d ores et dja inoya pour la recherche pour nos peaux noires ! !